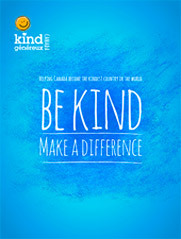 You can spread kindness across Canada with your contribution to Kind Canada today. Supporting Kind Canada with a financial donation of any size will spread kindness across our country and enable us to deliver outreach programs to schools, workplaces and communities. You will be taken to our PayPal page to complete your gift. 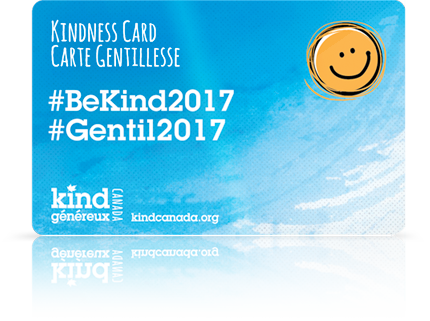 Thank you for supporting Kind Canada. Your kind generosity will also help to make Canada an even kinder country and create the communities that we all want to live in for the benefit of all Canadians. That is a goal we can all embrace.